Ever wished you could listen to a version of The Phantom of the Opera infused with Trans-Siberian Orchestra-like musical sensibilities? If yes, then congrats, you’re a fan of symphonic metal, the focus of this iteration of ‘Better Know a Sub-Genre’. While metal bands have used the occasional symphonic element in songs for decades, symphonic metal as a genre did not start to develop until the second half of the 1990s. In 1996, the band Therion, previously a death metal band, decided to step off the beaten path and experiment with a more symphonic sound on their album Theli, which featured two full choirs. The following year, symphonic metal frontrunners Nightwish and Within Temptation both released their first albums, each featuring female vocalists, in Tarja Turunen and Sharon den Adel respectively, and heavy use of classically-inspired keyboards. In the early 2000s, symphonic metal started to emerge as a mainstream genre, with numerous similar female-fronted bands emerging, including After Forever, Delain, Epica, Leaves’ Eyes, and Xandria. Like many recently developed metal genres, symphonic metal emerged primarily in northern Europe, with the Netherlands being a particular hotbed of activity (Within Temptation, After Forever, Delain, and Epica are all Dutch). Several other symphonic metals bands hail from Germany and Austria, with some penetration of the genre into the traditional black/death metal countries of Finland and Sweden. Given the influence of both power metal and goth metal on symphonic metal, it’s no surprise to find that some symphonic bands lean more heavily towards one base genre or the other. The two most famous symphonic metal bands, Nightwish and Within Temptation, are a perfect example of this dichotomy, with Nightwish initially featuring the heavier guitars, epic scope, and fantastic themes of power metal while Within Temptation featured darker themes and a more gloomy, atmospheric sound. More than 15 years since their inception, both bands have refined their sound, with Nightwish becoming more bombastic and Within Temptation becoming both more folksy and more pop-oriented. 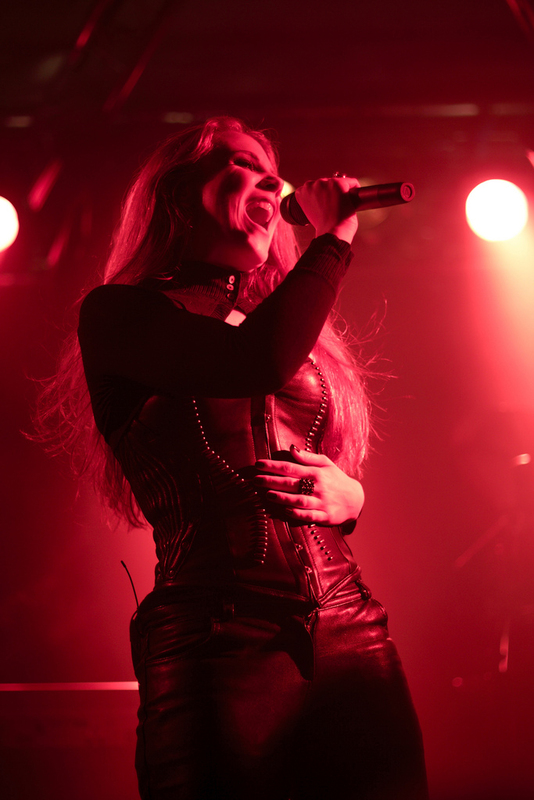 Another common element in symphonic metal is the “beauty and the beast” style vocals, an import from goth metal that features vocal harmonies between a female, operatic singer and a male singer performing death growls. This style was pioneered by the Norwegian band Theater of Tragedy, and while Theater of Tragedy’s lead singer went on to found the symphonic metal band Leaves’ Eyes, Theater of Tragedy remains solidly a goth metal outfit. My personal favorite symphonic metal bands include Nightwish and the quartet of Dutch bands previously mentioned, but some other notable bands include Rhapsody of Fire (another heavily power metal-inspired group), Sirenia (a heavily goth metal-inspired band), and Dimmu Borgir (a black metal band with substantial symphonic elements). Given that I’m always on the lookout for more quality music, feel free to fill the comments section with suggestions of more bands in the vein of Nightwish, Within Temptation, Epica, etc. Also, let me know what sub-genre, if any, you’d like for me to tackle next. Image credit: Featured image by cgo2 (CC BY 2.0) via Flickr. Post images by Fabrizio Zago (CC BY-SA 2.0) and rjforster (CC BY-NC-SA 2.0) via Flickr.